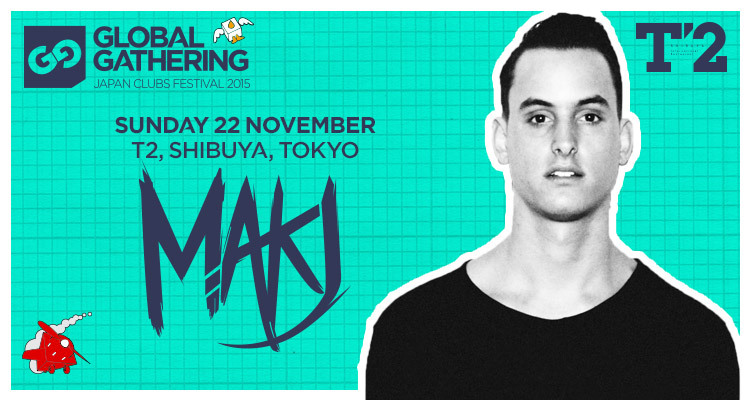 The GlobalGathering Japan Club Festival takes over Tokyo on Sunday 22 November, and one of the hottest shows is sure to be the performance of rising star of the EDM scene MAKJ at T2 in Shibuya. Mackenzie Johnson, better known as MAKJ, uncovered a passion for mixing and DJâ€™ing at only 15 years of age while living overseas in China as a professional racecar driver. The teenager soon grabbed hold of his first set of Technics 1200 Turntables and the rest was history. 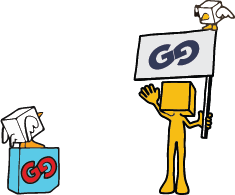 He’s performed at every major EDM festival, and graced the stage at the mega Coachella festival. MAKJâ€™s creativity and diversity as an artist have shown through in his production work with his tracks deservingly awarding him much critical acclaim and praise. His originals, edits, bootlegs, and remixes have received immense support from renowned artists such as Hardwell, Tiesto, Afrojack, Porter Robinson, Chuckie, Avicii, Laidback Luke, Nicky Romero, Michael Woods, Nervo, Bingo Players, Sander Van Doorn, W&W, Showtek, David Guetta and many others. With the support of these greats in his pocket, MAKJ is now thriving as a producer and has become a majorÂ attraction world wide. T2 can expect an energy filled jumping set from one of the most in demand DJs on the planet.